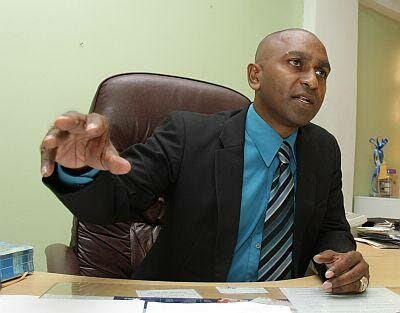 VICE PRESIDENT of the TT Police Service Social and Welfare Association Inspector Anand Ramesar yesterday lamented the failure of the Police Service to deal with increasing murders and said the failure could be attributed to a lack of innovation and willingness of senior officials to adopt new crime-fighting strategies. Speaking with Newsday yesterday, Ramesar who was recently appointed President of the Caribbean Federation of Police Welfare Association, said while police officers in TT continue to do their best, low morale and outdated techniques continue to be the reality for many occupying the lower ranks of the service. “When we look at the statistics, we are failing in the fight against crime. On a daily basis we hear the public relations of the police department putting out some of the successes in relation to the police officers whether there is an arrest, or an illegal firearm seizure, but the statistics do not speak to us being successful in relation to that. Citing the challenges faced by the service in appointing a new Police Commissioner, Ramesar said allegations of misconduct at such a level could mean that a negative image of the Police Service could persist even after a commissioner is appointed. Speaking on his appointment, Ramesar told Newsday he was honoured to be selected as president and said the role of the federation was to provide a streamlined code of ethics for the treatment of police officers in different Caribbean territories. He said as president, one of his first orders would be to review the working hours of Special Reserve Police officers who, he said, were overworked by the executive arm of the Police Service. “One of the major issues in TT has been what we consider to be the exploitation of our SRPs. I want to call on the Labour Minister who ought to be very aware of what is fair in the labour market. Ramesar added that health and safety insurance are among a few of the issues he intends to review during his tenure as president. Reply to "Police service failing in crime"